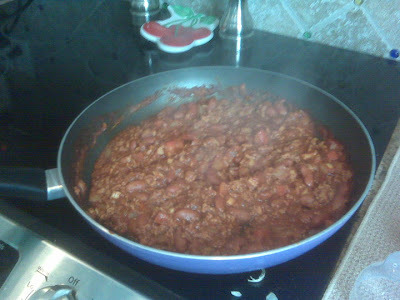 Last night, I made healthy chili! This was my first time cooking with onions, red peppers, and garlic. I am seriously in a newbie in the kitchen. I even had to find a video online to show me how to mince garlic. But it was another success! Next time, I'm going to make it spicier and add tomatoes but it was actually really good. Go me, Chef Emily!